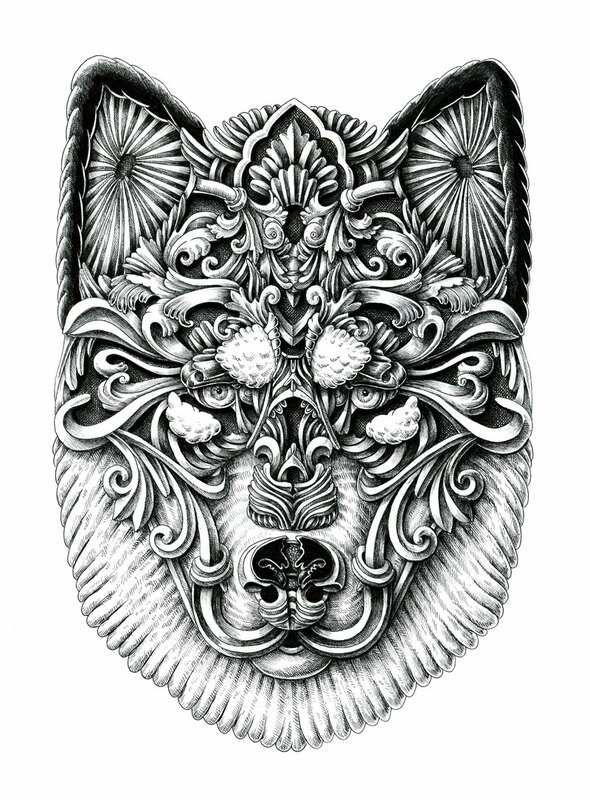 New drawing of ornate dogs by illustrator Alex Konahin based in Riga, Latvia. The series was started after going through a creative block in his life, which happens to all artists. One of the drawings is a portrait of a dog he used to have which probably helped him break through as, sometimes, you have to look at things that are familiar or close to you for inspiration. When I started the series, I felt a bit awkward about my skill after a long break in my personal creative work. 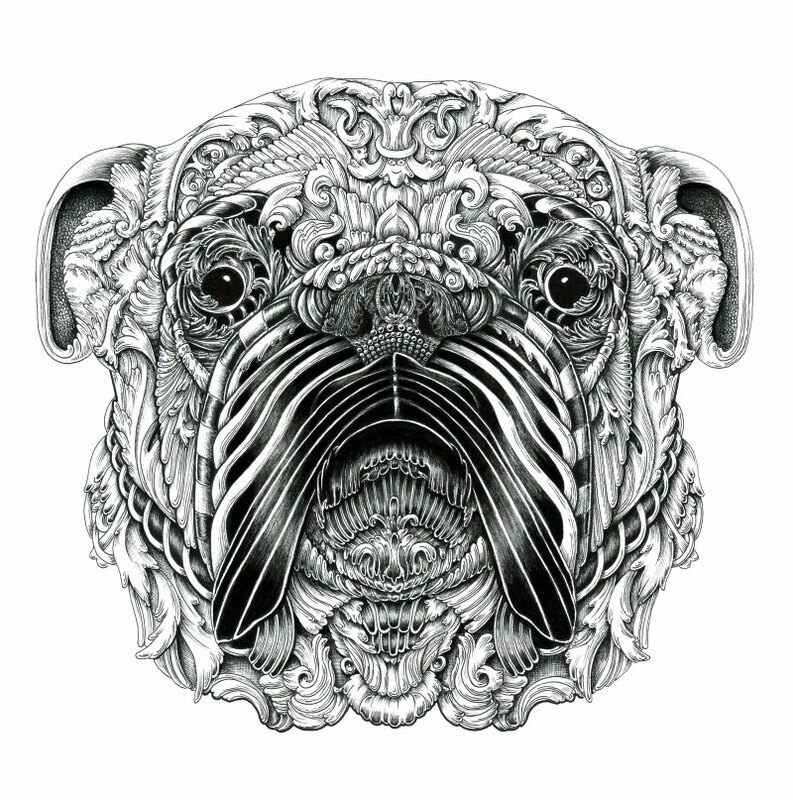 Drawing a clumsy and lovely Bulldog was a logical start. After warming up on this piece, I decided that my technical skill needed a more disciplined approach. 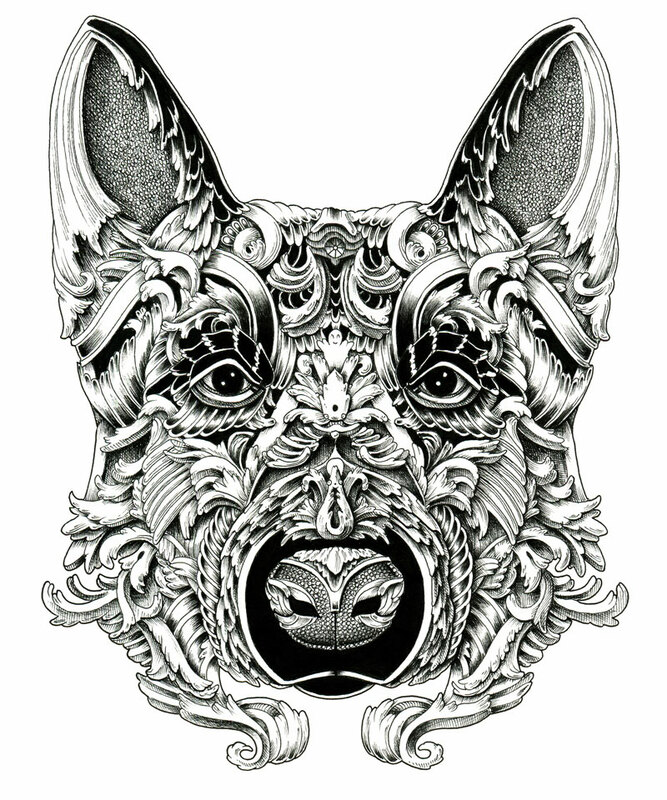 This had an impact on my next drawing, a German Shepherd. 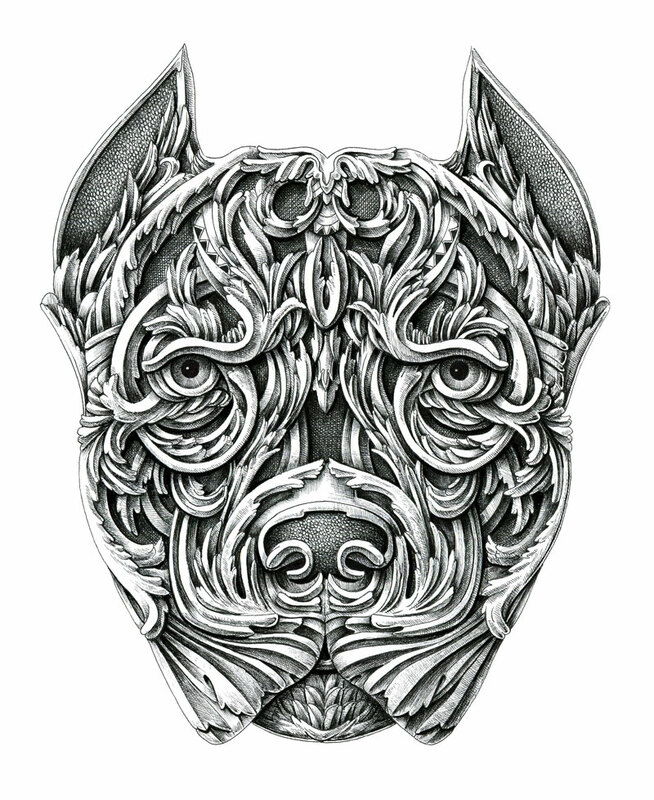 The more I worked, the more energy and will was generated like a vigorous pit bull terrier, which was the character of the third piece. Eventually I reached this state of internal freedom I was longing for, just like an Alaskan Malamute which values the vastness of forests more than the comfort of the doghouse. After reaching this new creative freedom and broadening my perspective, I felt happy. So I dedicated the last piece to an active and cheerful German Boxer. 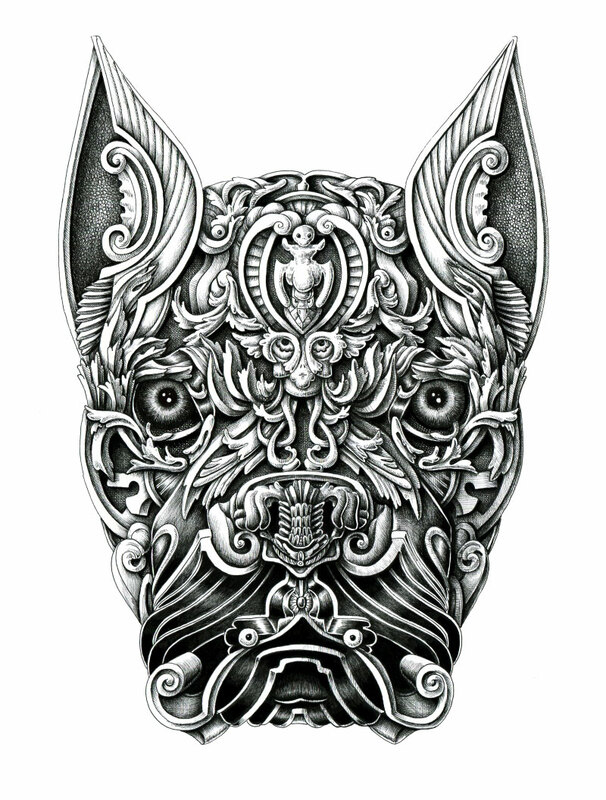 New drawing of ornate dogs by illustrator Alex Konahin based in Riga, Latvia.